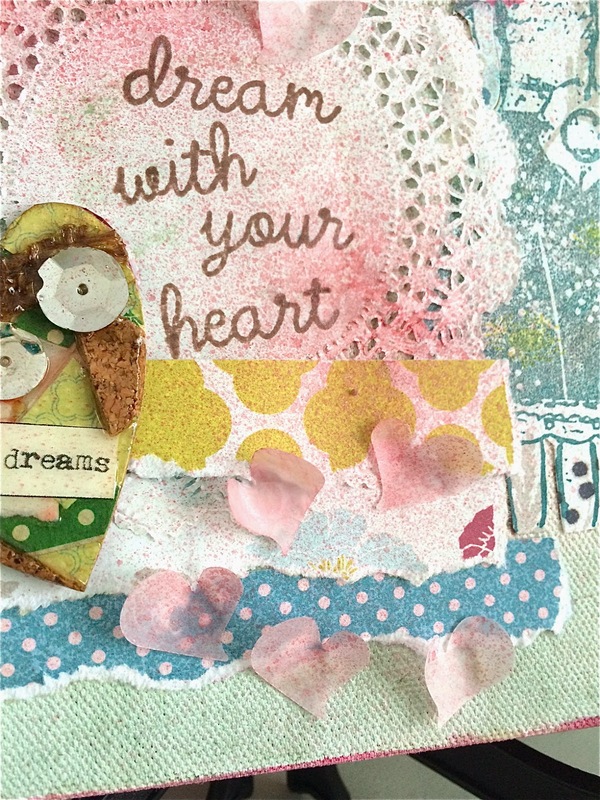 Wine, Cheese and Scrapbooking: Mother's Day Weekend! Welcome to Mother's Day weekend! 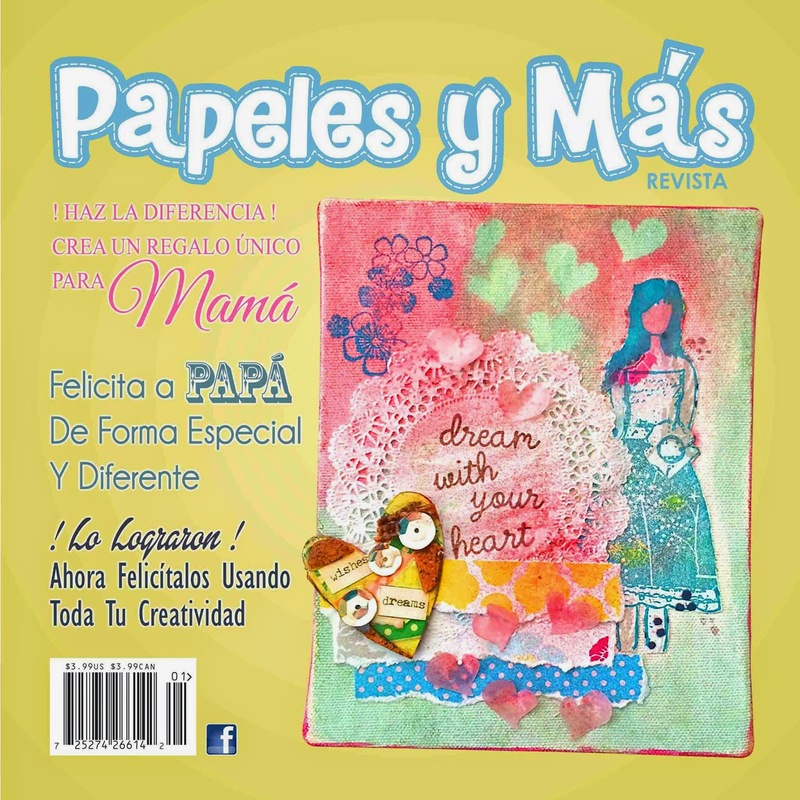 For this Friday's Friends with Flair (Unity Stamp Co.), I decided to show you this canvas project that made the cover of Papeles y Más magazine. I'm sure you have seen it since you either have the magazine, or saw it on facebook... but I wanna show you how I made it. This can be an original gift for mom... if you haven't got anything yet. First of all, I used an empty gift box as base... 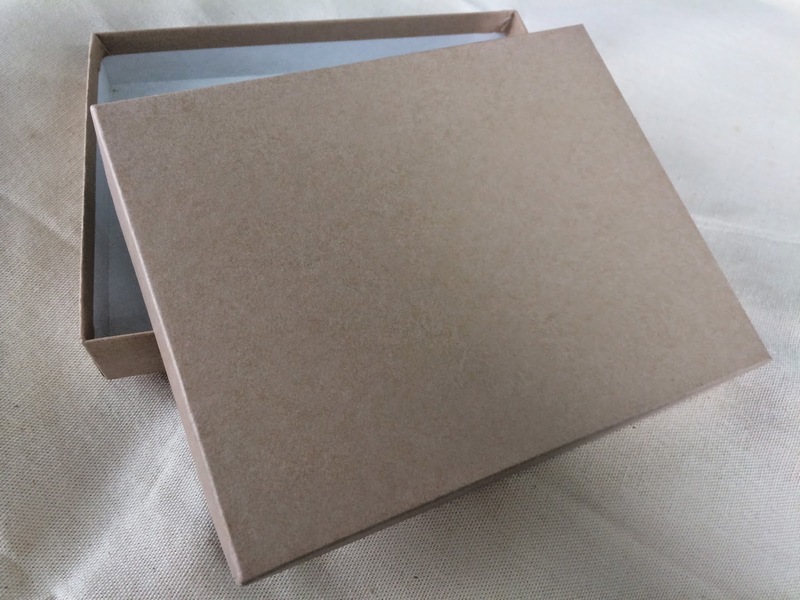 Yes, an empty box. 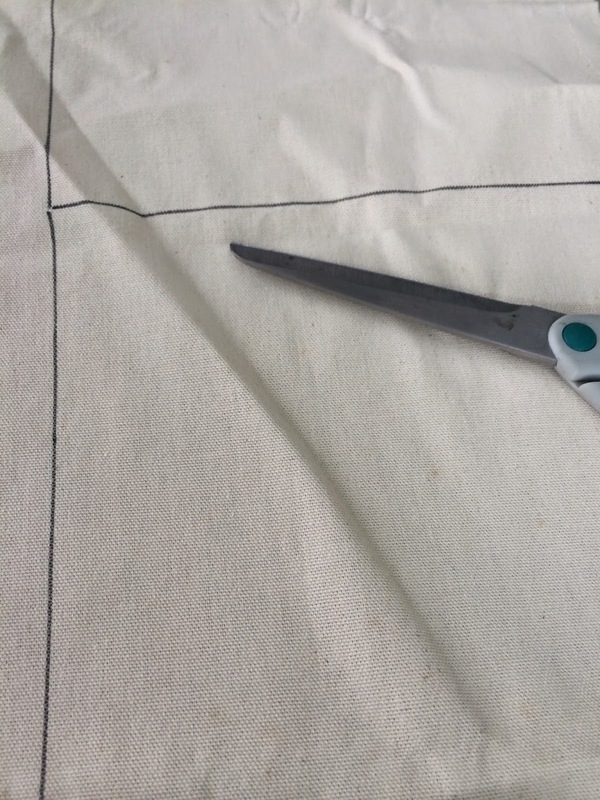 If you have taken classes with me or have followed me for a while, you know I really try to use all available materials and use the paper at its maximum capacity... LOL... Well I have to admit I sometimes have to throw away some things right before becoming a hoarder. 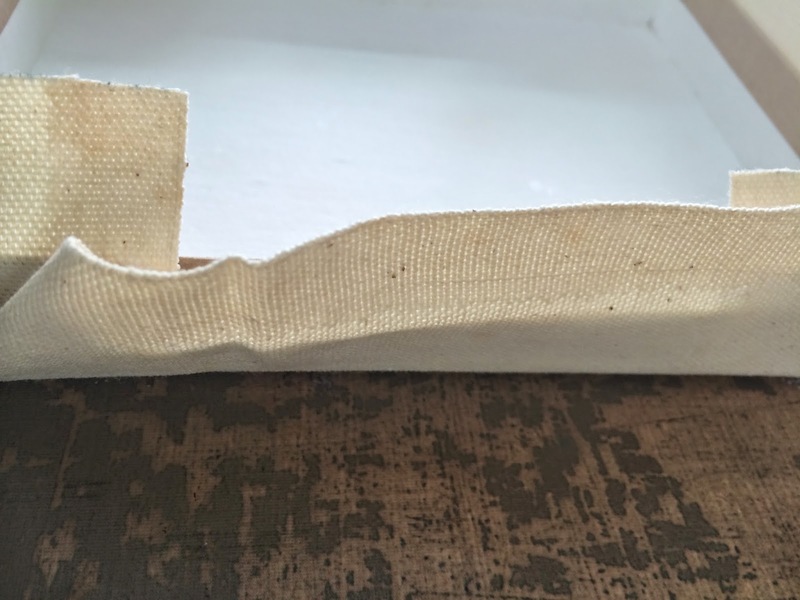 I cut canvas fabric enough to cover the base part of the box (the smaller one). 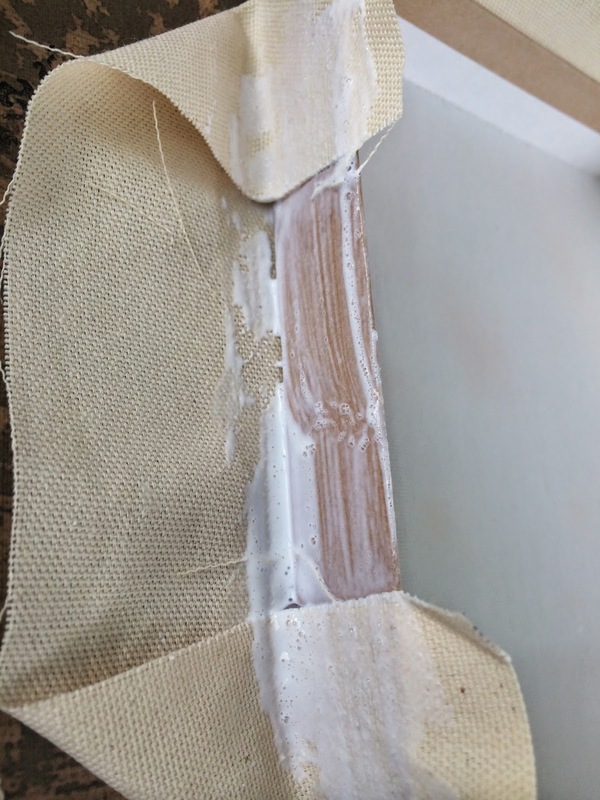 I adhered it with Mod Podge and secure the edges. 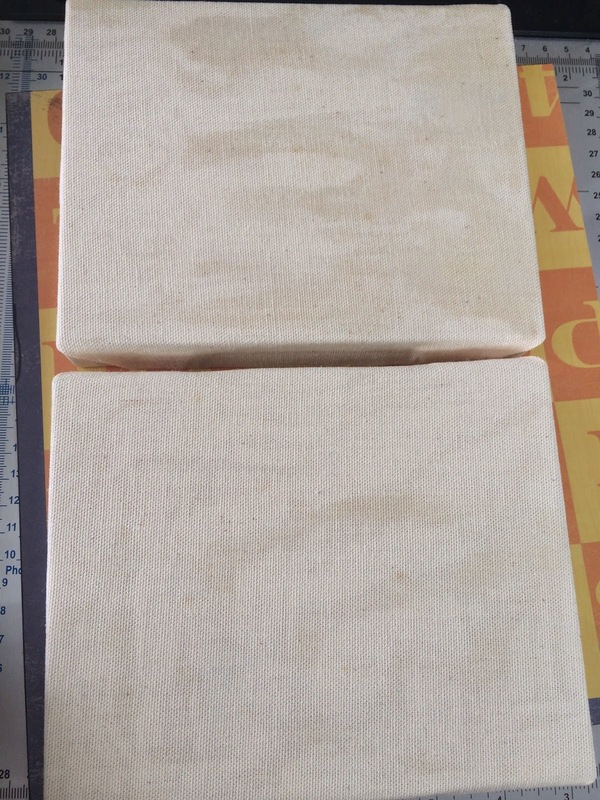 I ended up with a base like these and waited until dry. 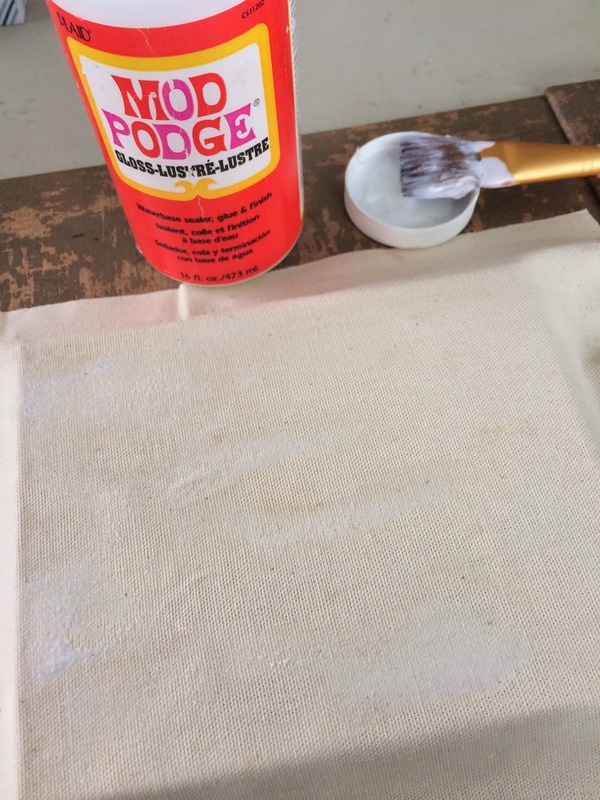 When dried, I painted the edges and this is the base I used for my canvas creation. The rest is history... You can create anything in a canvas. I used acrylic paint, spray, doily, vellum, stamps, paper, sequins and more... Then, close the box as usual but the cover will serve as the back side of the project. 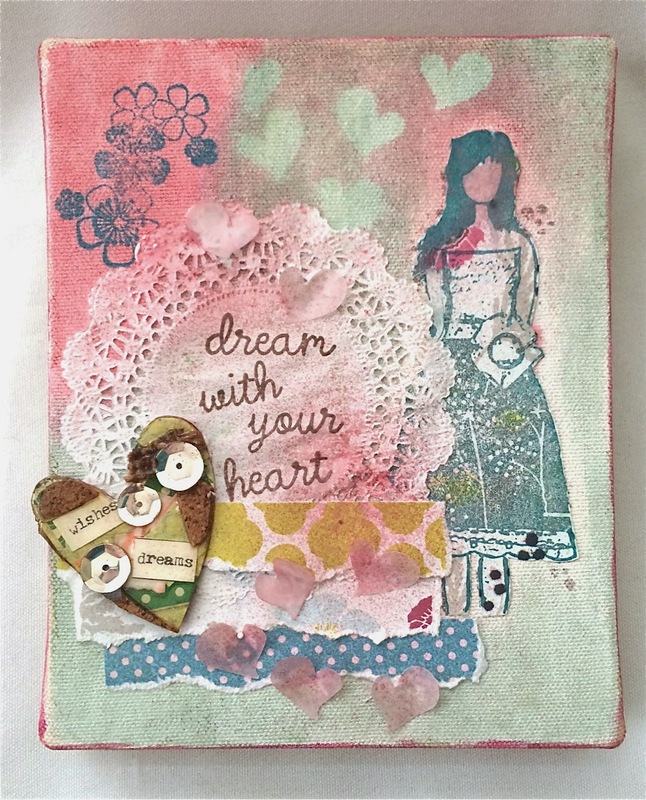 I particularly liked that I used vellum hearts as masks to spray paint and when retrieved had the amazing images... and then used those very same sprayed vellum hearts as embellishment over the creation. See them? 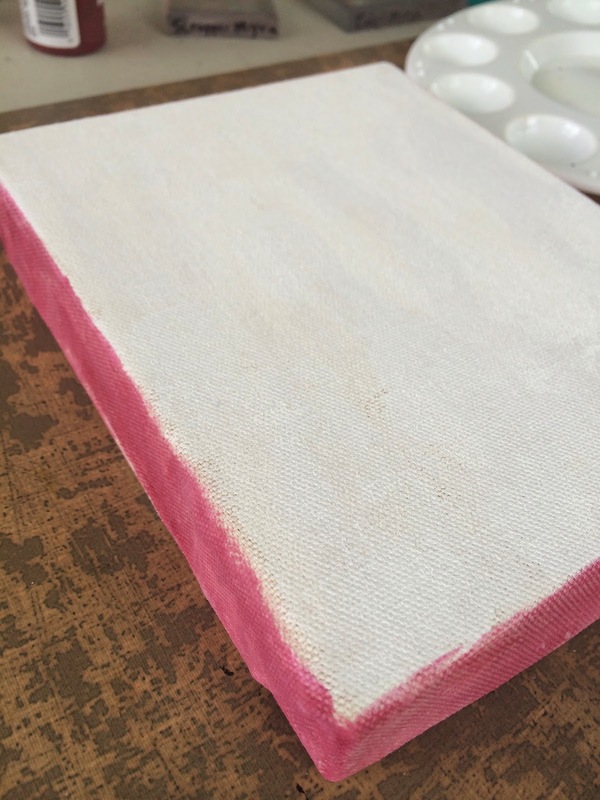 Great idea for canvas art! Thanks for the tutorial! Beautiful project! Very pretty art! 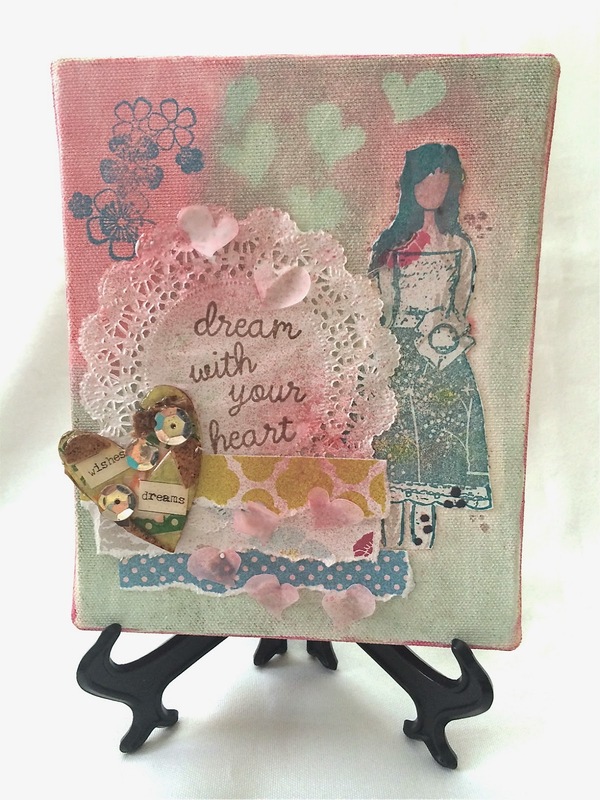 Love the double use of the hearts too! Very sweet canvas. Love it. This is lovely and I like how you used a box. Congrats on the publication! What a fabulous artistic creation! Love the tutorial, but you're totally right about it being a fine line before becoming a hoarder! Congrats on your well-deserved cover -- this really is a piece of art. Love all the details in your canvas. Lovely project! That's a great idea for a box top. Thanks for the tutorial! beautiful project! congrats on the cover! very cool! I'm popping by late…but had to come say Congratulations and see your beautiful project!! Te felicito por tu proyecto... maravilloso.